Stanton®, part of the new Gibson Pro Audio division and an industry leader in the design and manufacture of professional audio products for DJs, is pleased to announce at the 2012 NAMM show (NAMM Meeting Room 5963) that its SCS.3 System Touch Controllers now can directly integrate with Atomix’s Virtual DJ® LE software. 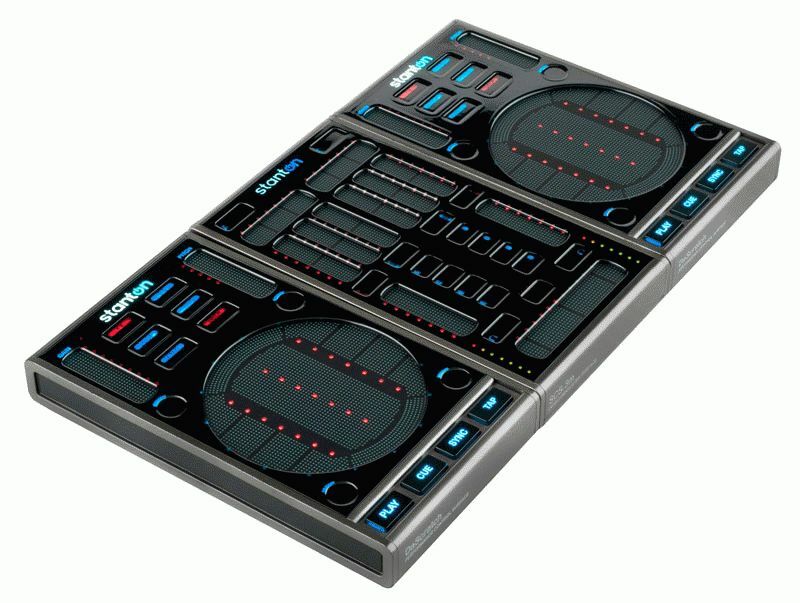 Going forward, the SCS.3 complete controller pack will ship with Virtual DJ LE software, providing users a complete turnkey digital DJ solution. Stanton’s SC systems represent the world's first truly professional DJ control systems, designed to fully empower laptop DJs and desktop producers. The integration of the SCS.3 system with the Virtual DJ software looks to expand upon this reputation. When the SCS.3 system is used with Virtual DJ, it is driverless, so users can be up and running within minutes, without a complicated setup procedure. Users now are offered even more capabilities, including four-deck control, FX, loops and full-screen video output for a club-ready video DJ setup. For users of other popular DJ applications, Stanton also provides a comprehensive set of MIDI presets to be used in DaRouter®, Stanton’s MIDI preset manager. Using DaRouter, users can integrate the SCS.3 with their favorite DJ systems.